Hi everyone! I'm super excited to announce that I'm partnering up with Framebridge today to give away two high quality framed prints to two lucky winners! You can either upload pictures directly from your laptop or get them straight off of your instagram, like I did! They will even cover your shipping costs if you want to send in your own art and have it framed! 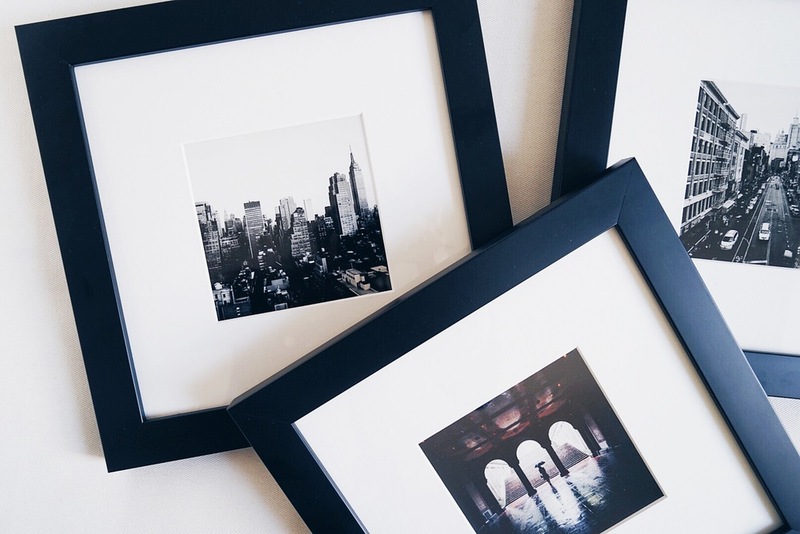 I framed three of my favorite New York City photographs in these Mercer frames with a white mat. I love the way they turned out and I'm sure you will too! You must be following me and Framebridge on instagram (and if you want you can check out our blog's instagram, but that isn't required). Comment on my Framebridge instagram picture saying how you would use Framebridge in your home and tag 3 friends in the comments. You must also be a US resident as they're only shipping to the US right now. You have until Friday night at 12 EST, when I'll be picking the two winners, who will each receive one free frame from the kind people at Framebridge! Leave me a comment below if you have any questions!